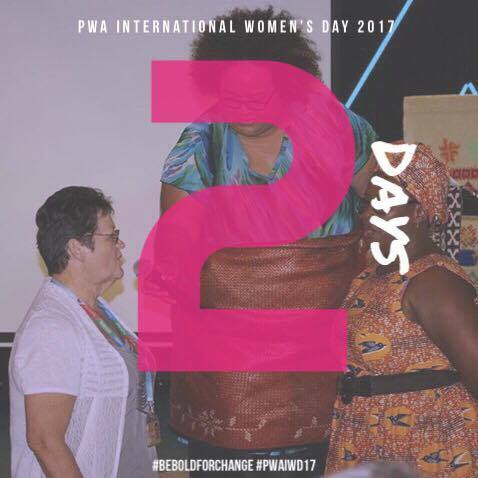 2 DAYS to go till our PWA International Women’s Day 2017 Celebrations!! We look forward to seeing some familiar and new faces this year. Bring your sisters, mothers, aunties, friends, colleagues and expect to have a fun filled day spent with your sisters of the Pacific! We are thrilled to have one of PWA’s founding members – Glenda Stanley join us this year as a guest speaker at our PWA International Women’s Day 2017 Celebrations! Glenda has worked extensively over the past 12 years facilitating complex community and government forums to enhance positive outcomes for young people and Pacific Island communities. In her previous role as the Principal Cultural Diversity Officer, for the Department of Aboriginal and Torres Strait Islander and M…ulticultural Affairs, she successfully initiated the department’s regional presence strategy across South East Queensland. A Doctorate of Education student at Griffith University, Glenda has lead a number of projects in collaboration with local partners including schools, churches, university partners, government and non-government agencies in which a number of these projects have received state and national awards raising the profile and work of Pacific Peoples in Australia. She was one of 13 selected to represent Australia at the Emerging Pacific Leaders Conference in October, 2014 held throughout the Pacific. Of the 13 participants, Glenda was selected as Team Leader to lead the New Zealand Study Tour and report the findings back to HRH Princess Anne in Vanuatu. With the theme for International Women’s Day this year being “Be Bold For Change” – it is only fitting we welcome Glenda Stanley to share her experience as a woman in leadership. Previous Post 3 days to go! Next Post 1 day to go!